we are continuously posting the Flash sale tricks and loots like the Honor mobile flash sale @Rs.1 and Honor Band sale @Rs..1. 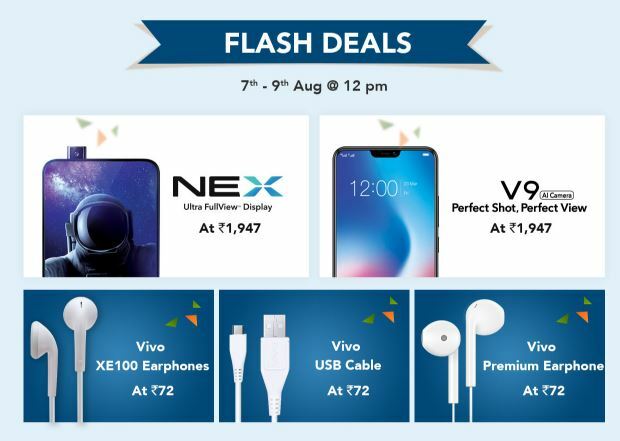 Now today we are again back with The Vivo Freedom Carnival from Vivo mobile where they are offering products like Vio Nex and Vivo V9 at Rs.1947 also they are giving away products like Premium Earphones and Usb cable for Just Rs.72 only. 1 How to get the products at loot price? How to get the products at loot price? 2. Now Make New Account By Clicking On Sign Up Button at Top Right Corner. 3. If you didn’t get any verification code, do not forget to check your Spam folder in the mail. 4. Now go to My account and fill up your address on ‘My Addresses’ section to check out quick at the time of flash sales.